Provide information for end users that are uploading. This feature is only available to the Master User. Sometimes it is important to give your uploaders additional information about what happens when they upload a file to Image Relay, or have them sign off on some specific requirements. Adding an upload agreement accomplishes this. Click the Admin drop down menu. Scroll down to Upload Agreement. 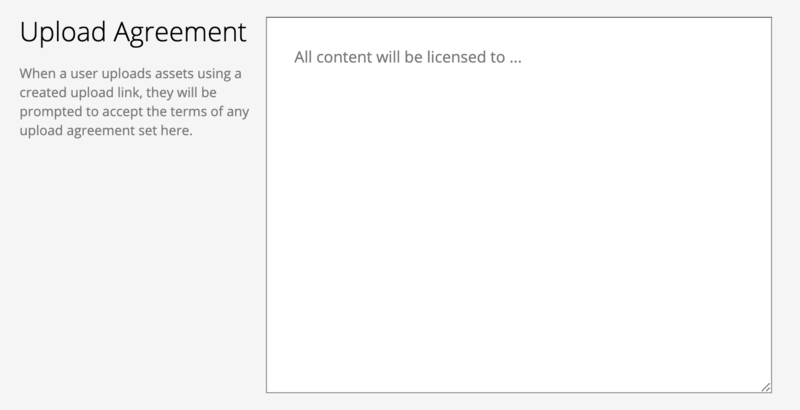 Type out what users will be required to agree to upon using an upload link.